And did you know that Main Road would have had surveillance cameras, were it not for the drought? The Wynberg PTI is used by about 60 000 people per week, Brunette said. It is used mostly by people who go to or return from Victoria Hospital, the military camp and businesses or places of work in the area, or those who use taxis to travel to and from the PTI to Constantia, Tokai and Hout Bay. Plans are now afoot to upgrade the whole PTI area. This will happen in conjunction with the deployment of MyCiti buses to Wynberg – in other words, the upgrading project and the Wynberg MyCiti project have been combined into one project that will include large MyCiTi buses arriving at the PTI and smaller taxi-type buses branded MyCiTi that will transport commuters between the PTI and surrounding suburbs. At the moment, however, the area tends to attract crime, antisocial behaviour and illegal trading. She believes the best solution would be to deploy City Law Enforcement officers permanently to the PTI and surrounding area and has submitted a request to this effect. Currently Law Enforcement in Wynberg works from 7 am to 4 pm – the ideal is to have permanent Law Enforcement officers at the PTI who are on duty from 6 am to 8 pm. One of the biggest headaches in the area is illegal trading. The traders arrive at about 3 pm to catch public-transport commuters. Sidewalks become crowded, forcing people to walk on the streets. This causes traffic havoc when commuters start returning home, Brunette said. She said she hoped that more Law Enforcement officers would address this, as well as the illegal taxi ranks in the streets around the PTI. 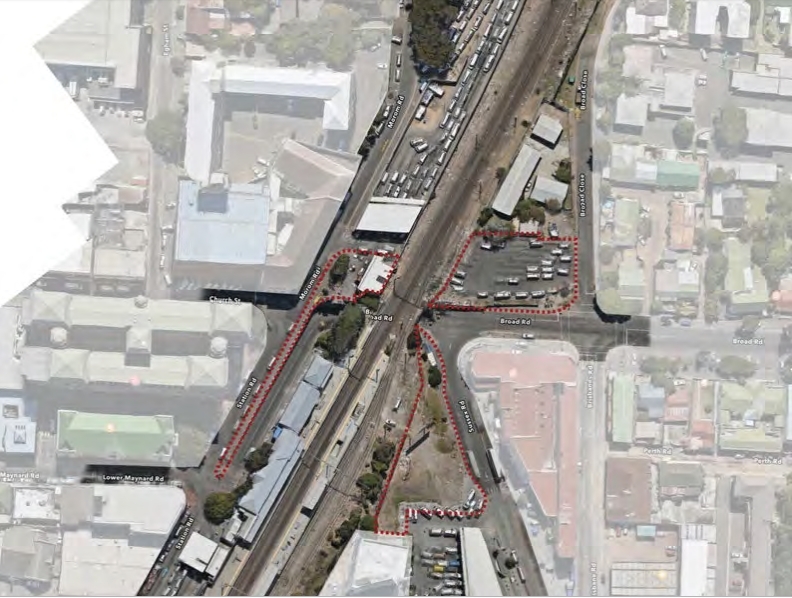 Illegal ranks have sprung up because of limited space, and it is hoped that the upgraded PTI will provide more parking space for taxis and trading spaces for the traders. Many homeless people are in Wynberg specifically because they regard it as a safer space than the places they come from. It is also illegal for the police or Law Enforcement to physically remove street people against their will and take them to another location. The City’s social development department is responsible for homeless people, but they work closely with Law Enforcement and Cleansing. Hotspot areas in Wynberg are regularly visited to make sure the environment is not destroyed. Cllr Brunette said she initiated a local network of care through the City’s social development department. The network assists homeless people, helps them adjust back to their communities and encourages them not to live on the streets as this endangers their safety. The issue is complicated by a lifestyle that often includes drugs. The Morom/Wetton road area is close to the Public Transport Interchange and there is a very active community of homeless people at night. A lot of dumping occurs and by day there are many illegal traders. Brunette’s advice: If you are concerned about a homeless person, refer them to The Haven. Many however don’t want to go because of the rules there, but they will get a shower, meals and possibly some clothes. The Haven tends to be full at about 6 pm at night but will soon be expanded. 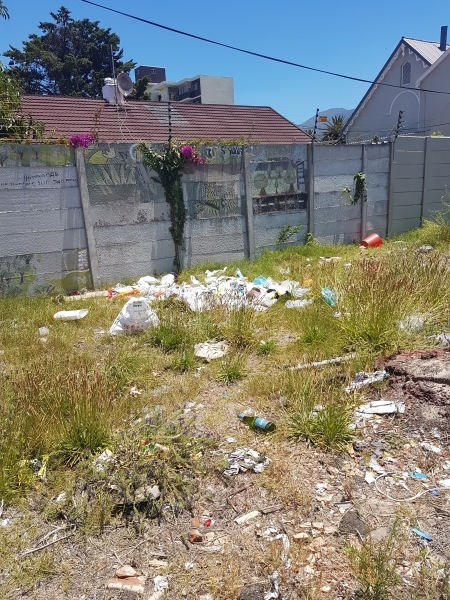 The Wynberg Area Coordinating Team identified a lack of bins as one of the causes for the grime problem in the suburb, Brunette said. Many people would leave black bags out along the road and by the time the cleansing department came around the contents of the bags would be strewn all over the area. A bin audit was done and more than 2 000 extra bins were issued in the whole of Wynberg West. Each bin as a unique number and ID chip that identifies it location, so it can be traced if stolen. As there is a monthly charge for each bin, the project increased income for the City with R275 000 per month. Another problem was the cemeteries in Wynberg, which became a dumping ground and drug dens. 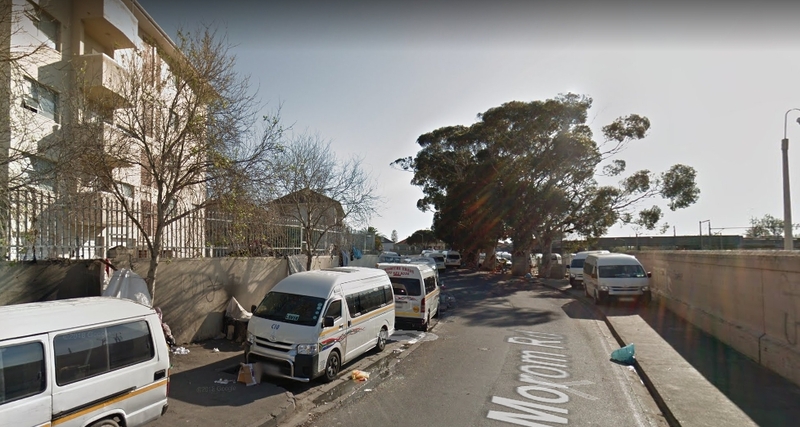 The Wynberg Improvement District employed homeless people to help clean up the cemeteries as far as possible, St John’s Parish is looking at erecting a fence. Report an area with lots of litter on the City’s website: www.capetown.gov.za. Don’t leave bins out overnight. Recycling of solid waste must happen privately. There is an app on the City website called Recyclers, which can be used to identify which companies collect different forms of waste in one’s area: web1.capetown.gov.za/web1/wasterec/map. There are several problem buildings in Ebor Road belonging to Uli Heydt and Jonathan Katz. They also present a debt management problem for the City as water and electricity are not paid. In addition, the occupants of the buildings don’t always operate above the law. Water and electricity to some of the buildings have now been cut off. As a result, this has become an undesirable part of Wynberg. The Neighbourhood Watch cannot patrol there and no City safety and security operation is possible without police accompaniment. Another issue is properties owned by national government, such as the Waterloo Green property. It seems the government was unaware that they owned these properties and decisions about them are made in Pretoria. Local representatives are powerless and not able to do much except forwarding the information to Pretoria, so nothing gets done, Brunette said. She says she reported these properties to the Problem Buildings Unit, and residents are also keeping an eye on them. Two of the properties contain heritage buildings. There is an enormous number of illegal operators and taxis. Both legal and illegal taxis often travel off-route. Each taxi organisation has a particular route and taxis are not allowed in the area between Waterloo and Main, nor in Piers Road or Wolfe Street. (They are allowed in Car Hill Road.) But they run off route, which is very frustrating for residents. Brunette’s advice: Take a picture or number plate and send it to her at Elizabeth.Brunette@capetown.gov.za. She will pass it on to the transport regulation department. They can build up a case history which will be taken into consideration when licences have to be renewed. The City’s traffic calming policy aims at protecting the most vulnerable road users, i.e. kids going to school. There are several schools in Wynberg, so the City is focusing on speed bumps outside schools and access roads to schools. Speeding is a universal problem in city areas and cannot be used to justify the need for traffic calming, Brunette said. The City develops a systematic programme and decides where the bumps are applicable. 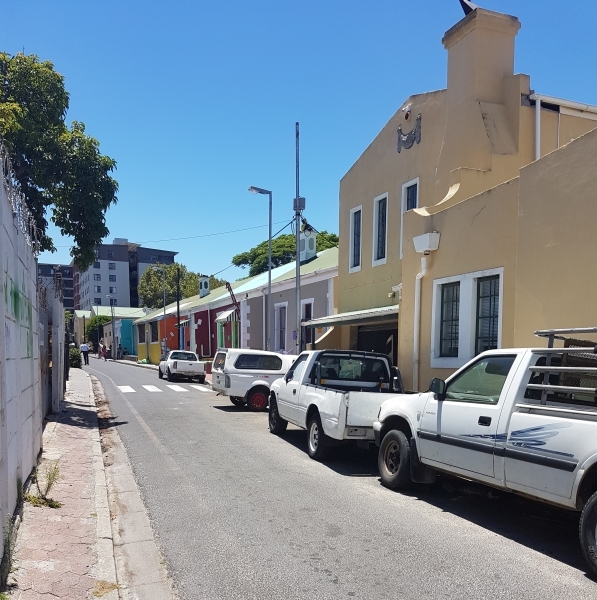 Brunette’s advice: Many streets in Wynberg are quite narrow. At the same time, many people park on sidewalks which is illegal. If residents would park in the street, it will slow down or divert the traffic. Wynberg Law Enforcement is in Wellington Road (there is a sign outside the building). There is a growing number of officers at that office, Brunette said. One can also volunteer for the auxiliary Law Enforcement service which patrols mostly at night. Of concern is the lane in Egglestone Road, which is a dumping place and even used as a toilet. The roads department has agreed to close the lane but it has still not happened. Langley Road and Hollywood Bets are also areas of concern for residents, with littering, people drinking on the pavement, loiterers, rats and drug dealing out of cars. Residents have tried to clean up the area themselves but it lasts only for a while. Cllr Brunette suggested the residents keep on reporting the problems so that a case history is built up. She also suggested that the community fund a security camera for the area. There was in fact a plan to install security cameras along Main Road in Wynberg, but in the 2017/18 drought that budget was re-allocated to the City’s water-saving strategy. Always open a case at the police station, no matter how small the crime. The only way to build up crime statistics is with cases. Crime statistics ultimately determine how many police officers are stationed in an area. *This article combines Cllr. Brunette’s talk with matters that arose in question time.